In music theory, a scale is basically a set of tones, relative to a root note. Building chords and melodies from a scale identifies its unique sound. The most popular scale might be the ionian scale in C, which is made up of all white keys on the keyboard. The scale of all black and white keys is called the chromatic scale. 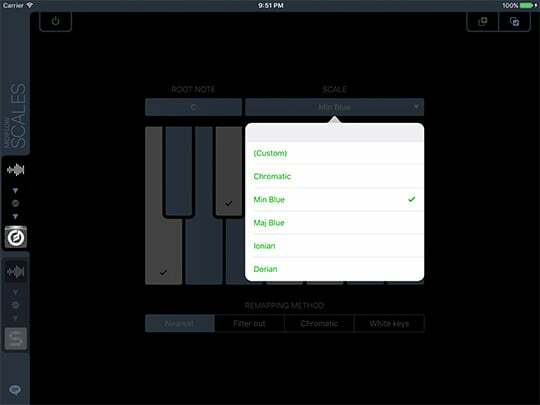 Midiflow Scales is a note filter and remapper that is optimized for working with scales. The keyboard-style note selector lets you activate notes that should pass the filter and deactivate those that should not go through. You can also select from the list of pre-defined scales. 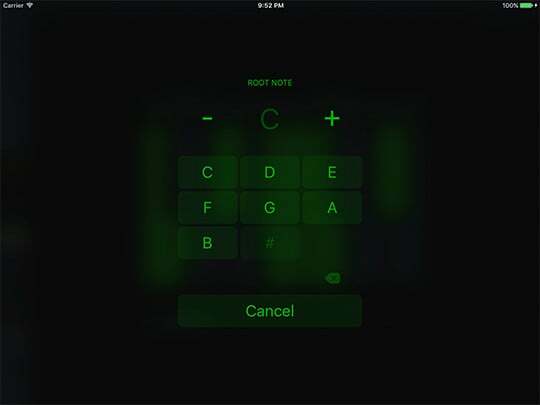 If you select a different root note (default is C), the app will update the selected keys to maintain the scale. So, if you have selected the ionian scale in C, and then change the root note to G, you'll see the F changing to an F#. Midiflow Scales can not only mute "wrong" notes, which are notes outside of the scale, but it can also move those notes inside. The selector at the bottom lets you choose between filtering out those notes or remapping them to the nearest note that is part of the scale. If possible, the algorithm assigns the activated notes to the keys of the ionian scale. What sounds complicated actually makes it very easy for you to play different scales just with the white keys, or transform a stream of notes into a completely different scale. 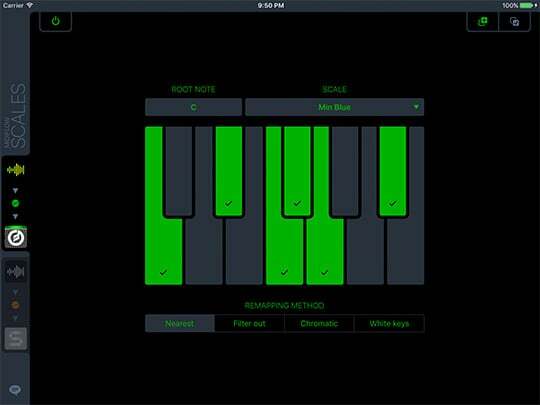 While the previous remapping methods ("Nearest" and "Filter out") correct incoming data to match a scale, Midiflow Scales can also reorder the notes on the keyboard, so that you can play the scale without thinking about its half tone/full tone steps and the root note: With the "White keys" option, all notes of the scale will be assigned to successive white keys. For example, if you want to play "Min Blue" in E, you then just have to play C, D, E, F, G, A on the keyboard. The option "Chromatic" does the same but with C, C#, D, D#, etc. This note remapper has many applications and is really fun to use. 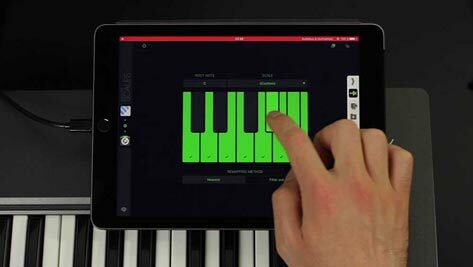 If you have a melody programmed in a sequencer, you can create a bass line by sending the same track through this app and activate only one tone. Experiment with the remapping options explained above to either get bass notes on every melody note, or only when the melody reaches the root note. Thin out tracks by removing some tones to create variations. Or use this simplified version of the track in parallel for a second, layered sound. This is also very useful when playing live with multiple sounds. Audiobus allows you to chain MIDI effects, and doing so with Midiflow Transposer and Midiflow Scales lets you create second voices: First transpose the notes by 4 half-tones and then force them to the ionian scale, for example. Learn how to vary existing MIDI sequences to create something new.